Note: This is an executive summary of Steven Emerson's full assessment of MPAC's record. To see the full report, click here. Two leaders of an Islamist organization, the Muslim Public Affairs Council (MPAC), are scheduled to lecture Southern California law enforcement officials Monday about radicalization despite a history of opposing U.S. counterterrorism efforts. Salam al-Marayati and Edina Lekovic will join high-ranking officials from all law enforcement agencies from Greater Los Angeles at the two-day conference in Pismo Beach, Calif., entitled "Radicalization Conference 2010: Radicalization and Homegrown Violent Extremism." Throughout its history, MPAC and its leaders have issued statements in support of terrorist groups like Hizballah and, perhaps most significantly, disseminating incendiary statements that actually cause Muslims to be radicalized. The group also has followed a consistent pattern of opposing U.S. counterterrorism efforts and defending designated terrorist organizations and their supporters. In a March 2003 Los Angeles Times article discussing the FBI's relationship with Muslim American communities, al-Marayati attacked the FBI for allegedly profiling only Muslims for prosecution, a demonstrably false charge. "[T]he FBI's policy of targeting people because of their race and religion…That's what they've been doing since the attacks, and we don't know of any case that has resulted in the arrest, indictment or prosecution of a terrorist," al-Marayati said. Even though the LA Fusion Center – consisting of representatives of the FBI, Los Angeles Police and Los Angeles Sheriff who exchange intelligence – is hosting this conference on radicalization, MPAC frequently criticized the creation and use of fusion centers. In April 2009, the organization supported a statement released by the American Muslim Taskforce on Civil Rights and Elections (AMT) calling for their elimination: "We are fully united in asking the Obama administration to address … use of McCarthy-era tactics, most notably dissemination of Islamophobic analysis by federally-funded 'fusion centers' to local law enforcement agencies." 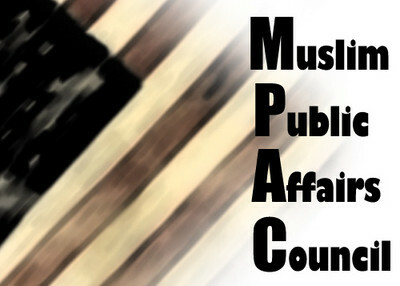 MPAC has also targeted the FBI's use of informants and undercover officers whom MPAC alleges instigate terrorist plots. Despite the fact that informants are widely used including in drug, gang, and organized crime investigations, a February 2009 MPAC press release argued that "federal law enforcement cannot establish trust with American Muslim communities through meetings and town hall forums, while at the same time sending paid informants who instigate violent rhetoric in mosques…"
"These were individuals who were either petty criminals or gullible people who were guilty of stupidity. They were not imminent threats to our country, as the FBI has stated," Al-Marayati told Fox News. "We want those tax dollars to be used to fight al-Qaeda…"
In a 2003 counterterrorism paper, MPAC advocated the removal of Hamas, Hizballah, and the Palestinian Islamic Jihad from the government's list of terrorist groups. The organization argued that Washington's "preoccupation" with these groups "raises the question as to whether targeting Palestinian groups serves true national security interests or is based on political considerations." And in one of the most high profile cases, MPAC repeatedly went to bat for Sami Al-Arian, a University of South Florida professor arrested in 2003 for allegedly serving as North American leader of Palestinian Islamic Jihad (PIJ), a designated terrorist organization said to be responsible for the deaths of two Americans and more than 100 Israelis. Yet, despite all of this indisputable evidence showing Al-Arian to be an officer in a murderous Islamic terrorist organization, MPAC and al-Marayati defended Al-Arian when he was first arrested, protested that he was being put on trial and even defended him after Al Arian pled guilty in 2006 to one charge of making and receiving contributions of funds, goods, and services to or for the benefit of the Palestinian Islamic Jihad. A month earlier, , al-Marayati had lauded Al-Arian at a fundraising dinner as a man who "defied the odds in a system that is unfair," adding, "[T]here is no way that you can get a fair trial in view of any of these issues today." However, the judge presiding over Al-Arian's case saw things differently. Judge James S. Moody, Jr., said Al-Arian continued to lie about seeking "only aid for widows and orphans. Your only connection to widows and orphans is that you create them, even among the Palestinians." One reason for MPAC's participation in the conference may be traced to the involvement of Los Angeles County Sheriff's Department. Sheriff Lee Baca has become a fixture at events sponsored by Islamist organizations such as the Council on American-Islamic Relations (CAIR), and frequently defends their radicalism. During a House committee hearing earlier this year, U.S. Rep. Mark Souder, R-Ind., questioned Baca his close relationship with CAIR. The Los Angeles Times reported that Baca responded "When you attack CAIR… you attack virtually every Muslim in America." Souder then noted the testimony of an FBI agent identifying CAIR as a Hamas front. "I served in the United States Marine Corps," Baca shot back. "…. CAIR is not a terrorist supporting organization." The record indicates otherwise. CAIR was listed as an un-indicted co-conspirator in the Hamas funding trial of HLF, been described in court as a Hamas front by an FBI agent and had its relationship with the FBI severed based on exhibits which leave open the question "whether there continues to be a connection between CAIR or its executives and HAMAS." Conference organizers are ignoring available evidence of MPAC's radicalism, instead believing the organization to be an appropriate partner in countering radicalism. Now it's time to ask whether the other organizers of the event were aware of MPAC's history of radicalism and counter-productive "counter-terrorism" assistance. And if they were aware, or did not bother to ask questions since MPAC is so prominent in Southern California, what does that say about the ability of these law enforcement groups to truly detect threats to American society? To read more about MPAC's record and the law enforcement conference, click here.